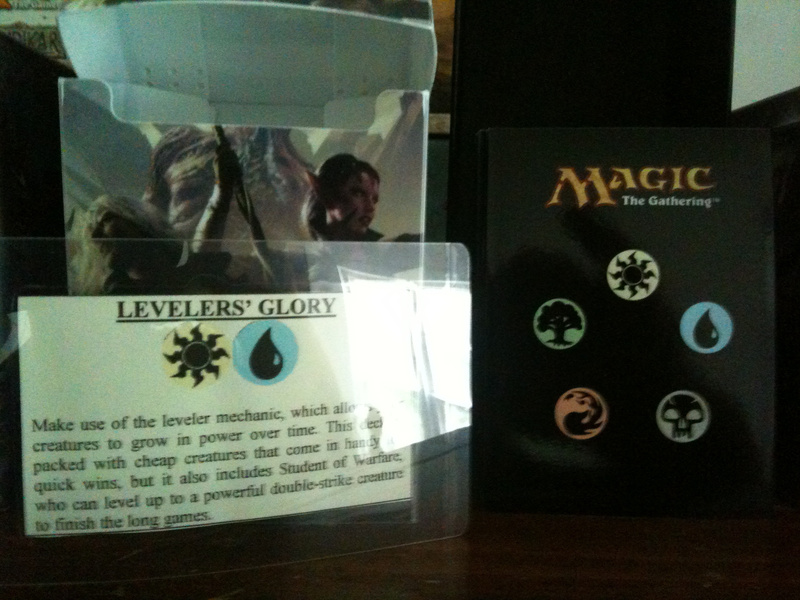 From time to time, readers of Ertai’s Lament have asked us to post some pictures of our precon collection. Knee-deep in spring cleaning today, it seemed the perfect time. For the curious, here is our collection and how it’s stored. We like to think of it as a library of precons. Here’s a brief tour. Each deck is sleeved in the UltraPro 5-mana sleeves and stored in the corresponding UltraPro deck box for each particular set. Here you see a Rise of the Eldrazi deck. Additionally, a laminated card is inserted into each box denoting the deck’s name, colours, and a verbatim transcript of the blurb found on the back of the box. For sets where no such deck box was released, we use a flat black UltraPro box instead. 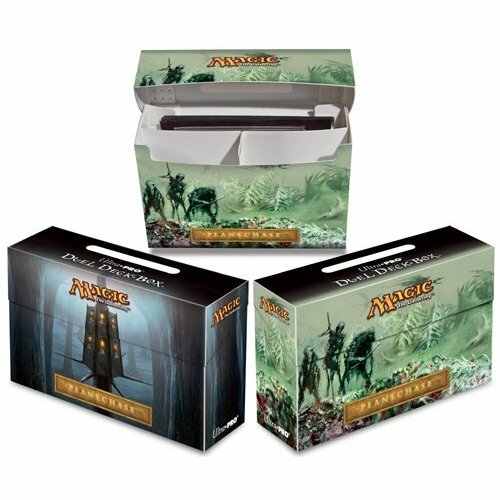 Are you a fan of the Ultra Pro licensed Deck Boxes, such as those released for the Duel Decks and Planechase? Quick, go do a Google search for Archenemy + “Ultra Pro,” and you’ll find… a thread on the Mothership. Another on MTG Salvation. Some ads for oversize sleeves. 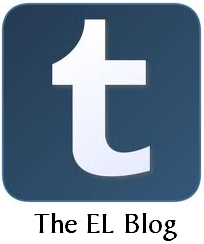 An article on Ertai’s Lament (surprised us, too). And plenty of crickets chirping. 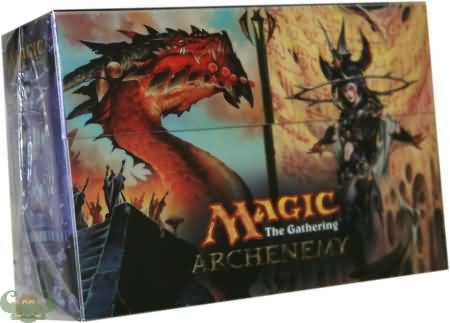 So far, word on the street’s been mum about any special release for Archenemy, but you heard it here first: an Archenemy deck box release has been officially confirmed today by Ultra Pro to Ertai’s Lament due for release this Autumn. No word yet on a final release date or what they will look like, but we’ll be at the front of the line when they’re out (at risk of sounding like a shill, Ultra Pro is the ‘official’ Ertai’s Lament deck archival supplier of choice).